Capital Projects: Building Classrooms, Kitchen/Dining Room, Additional Teacher's Quarters etc. We are currently accepting donations for the Stuff Happens project to help students in our own RDL family. When donating to Stuff Happens, please indicate this in the text box provided on PayPal. 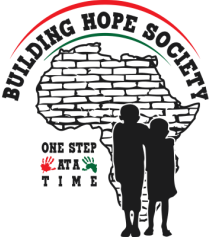 The Building Hope Society operates entirely on donations. It is through the generous support of donors that this project has had such success. What sets The Building Hope Society apart from other charitable organizations is that EVERY DOLLAR DONATED TO THE BUILDING HOPE SOCIETY goes directly to the current projects.